Happy International Literacy Day! While everyone knows libraries are literacy hubs, many might not know the different types of literacy the Free Library of Philadelphia helps to promote! Opened in June of 2014, the Free Library of Philadelphia’s Culinary Literacy Center (CLC), located on the fourth floor of the Parkway Central Library on Vine Street, aims to revolutionize the way Philadelphians think about food and nutrition. The CLC offers a range of classes and programs with an emphasis on learning math via measuring, reading via recipes, and science via the cooking process. The classes also teach consumer skills that help parents make recipes that fit the needs of their family. The Free Library has a variety of programs and resources dedicated to promoting health in the community. The recently re-opened South Philadelphia Library at 1700 S. Broad Street is a part of the brand new Community Health and Literacy Center, comprised of the Free Library, the Chidren’s Hospital of Philadelphia (CHOP), the City of Philadelphia’s Health Center 2, and the DiSilvestro Recreation Center. The Free Library also offers yoga classes, disease prevention programs, meditation workshops, flu shot clinics, Medicare information sessions, and much more at neighborhood libraries around the city. The Free Library wants all Philadelphians to be able to keep up with the ever-changing times! From a digital- and technology-literacy perspective, we offer classes in subjects like email basics, PowerPoint and Excel software, and social media, while also offering a weekly E-Gadget Help Desk, where patrons can learn how to better utilize that new iPad, e-reader, smartphone, or tablet. Though it’s clear we’re all bombarded with political news on a daily basis, especially right now in the midst of the upcoming presidential election, the Free Library wanted to make sure our customers had a clear and easy option for sifting through all that information. We put together an Explore Topic titled the American Presidency Series, where people can find out where to register to vote, when and where to vote, what policies and platforms the candidates are running on, as well as presidential trivia, booklists, podcasts, and upcoming events taking place Free Library. For additional interesting facts about some of the more non-traditional literacy efforts taking place at the Free Library, showcasing what we do outside library walls and apart from lending books, follow our #BeyondTheShelves hashtag on social media! 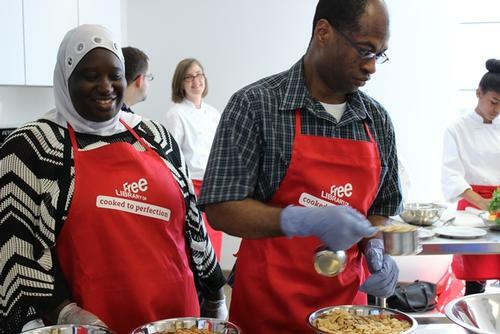 The Free Library's Culinary Literacy Center promotes literacy through cooking. 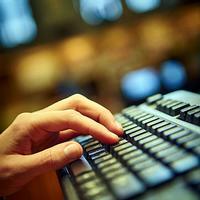 The Free Library wants to close the gap of the digital divide for all Philadelphians. The American Presidency Series was created to help spread useful information about this year's election. How can I help with the classes? Hi Sharline, thank you for the note! For more information about volunteering, please email us here: http://www.questionpoint.org/crs/servlet/org.oclc.admin.BuildForm?&institution=12274&type=1〈uage=1 ... and someone will be in touch! Thank you!